If you want to be a hero to all the G1 users, develop the following apps ASAP and release them before the first G1 devices ship. Disclaimer: Everything I know about the G1 is based on videos I have seen online and articles I have read. I have not actually handled a G1 yet. So, some of the following could be way off. But I have tried my best to ensure that you are not misled. MS Exchange Support: This is a no-brainer. Android, as shipped on the G1, does not support Microsoft Exchange by default. Anybody who writes a good functional app to support MS Exchange stands to make a lot of money. Ergo, LOTS of people are probably writing this app as you read this. Touchscreen Keyboard: As far as I know, Android does not have a native touchscreen keyboard. You have to slide out the screen of the G1 every time you want to type something – even if it is just a quick one-word or one-line message. What a pain! 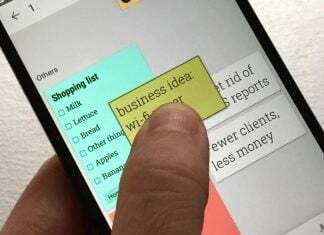 Any smartphone user (or even a regular cell phone user) knows that there are simply too many occasions when you want to type a quick message, with one hand, on the go (or under the desk in the classroom!). A touchscreen keyboard, with predictive text, well integrated into the Android OS and intuitively available for all other applications will be a WINNAAR! Video Recording: The G1 does not support video recording. I am not sure if this is a software limitation or a hardware one. I suspect that it is a software handicap (just as it is on the iPhone). Needless to say, an app which enables good and easy video recording will be an instant hit. Data Storage in the Cloud: The G1 does not have on-board memory for data storage. You need to use an SD card for all your data storage needs. How about a data storage service in the cloud, which seamlessly integrates with Android. The integration should be so tight that the cloud data store should be totally transparent to the user and function exactly like on-board storage. Your iPhone buddy brags of 16GB storage? You can beat him with unlimited storage. People would pay for that fo sho! Data Porting: Android does not have a desktop component. So, all your phone data is stored in the cloud or on the on-board SD card. This is where the data porting app comes in. Make it easy for any and every type of data on your Android phone to be easily exported to your desktop computer. In formats that can be easily used or imported into other applications. The porting could happen via the ‘Data Storage in the Cloud’ described above. In fact, the data porting app and the cloud storage service could be one well-integrated solution. VoIP App: This is once again a no-brainer. Numerous people are writing this app right NOW. Some have probably already written it. So, how about a single unified VoIP app, which would work on any network – GTalk, Yahoo! Messenger, MSN Messenger, Skype, Fring, etc., etc., etc. Won’t be easy to make a single lean client to work with all those different networks. Also, T-Mobile says they won’t support VoIP. May be not on 3G (how will they detect and block?). But this can surely be done on Wi-Fi! Side note: I have a theory that the GTalk API was squashed from the first version of Android precisely because it would have made VoIP-based voice chat too easy to implement. Google ID Changer: If what Gizmodo says is true, this will be a major Android annoyance for many of us. Apparently, your Google ID is so tightly integrated with Android, if you want to change to a different Google ID on the G1, you need to do a “whole factory reset”! Holy-Moly-Canoli! This makes you wonder what the heck the Android designers were thinking. This is where you, the Hero Developer, come in. Write us an app which makes it easy-breezy to change our Google ID on the G1 without resetting or rebooting the entire phone, and we’ll be glad to use your picture as our G1 wallpaper forever… well, may be for a month… okay, for a day! Data Usage Counter: Thanks to T-Mobile’s fine print, this app might be needed for the real data-hungry folks out there. It will probably be easier to implement this app, if usage information is pulled down from T-Mobile’s site, rather than trying to keep track of data usage by every app on the phone. After all, what really matters to us is the usage that T-Mobile bills us for, right? If there is an easier way to implement this, leave a comment. Or better still, make the app and show us! Can you guys think of any other ASAP apps, that would fix some of the obvious design flaws weaknesses in the G1 / Android 1.0? Does anyone know if the GPS in G1 works like the navi in a car…by telling you step-by-step directions, or do we need an application for that as well? Yeah. Its not 100% accurate, but with the latest update Google "Maps" works just like a car GPS. You can also view street images of what your destination looks like. Pretty useful, but I wouldn't rely on it as your sole resource for finding your way around. Great, IÂ´ll use it to search on http://www.treehoo.com the climate friendly Google powered search engine!!! I don’t know positively, but I am sure it will lay out the step by step directions in text the way it does in Google Maps. This has been my experience with my iPhone GPS as well. As for reading the steps out loud, that would be convenient wouldn’t it?! Because of the latest update, Google "Maps" will speak just like a car GPS. it also gives text directions. Like I said in a comment above, its not 100% reliable so don't use it as your sole resource for finding your way around. A video app should easy to develop…Go Go AndroidGuy team!! The on-screen keyboard could be built, but only as an extension to the Android OS or a library applications could leverage, not as a downloadable application. There are security restrictions in place that would seem to prevent Application A from sending keystrokes to Application B. Similarly, while offering data storage in the cloud is not that hard, making it such that “the cloud data store should be totally transparent to the user and function exactly like on-board storage” would probably require an OS-level change if you wanted to implement this once and have it magically available to all applications. You already hint that the Google ID changer might be…problematic to implement. And, I’m not sure applications can get enough low-level control to be able to implement the data usage counter. Basically, you’re asking for Application A to be able to monitor all the network activity of Applications B, C, D, and so on, and I’m not sure that’s allowed, for security reasons. Now, all of these things are solvable in the OS itself. The hope is that, on or before October 22nd, the full Android stack will be open source *and* there will be a documented means of submitting enhancements to the Android core. Then, all of these are possible, either if they’re approved by the Android core team (and make it into Android 1.1 or 2.0 or whatever), or if you’re willing to roll your own firmware. Google will have to update Gmail to allow MORE fields for contact information. Currently my phone has 55 different entries per contact. Information overload. 1. Video player! There currently is no app to play video stored on the SD card. Needs to leverage hardware acceleration and decode all the popular codecs. 2. Tethering is great and all but I want a basic wi-fi router application. A port of DD-WRT lite would be great. You wouldn’t need to do anything on your computer to connect. Just simply connect to the “access point” via wi-fi. Solid gold. Is it even possible with this device to write an app that would make stereo bluetooth a reality? If so, that would be a nice app to have so I can continue to use my crappy s9. Good suggestions, but I respectfully disagree with needing an onscreen keyboard, at least for the reason you stated. For a very short, couple of word message, the 9 key keypad should do just fine. For anything longer, I’ll want the slide out keyboard. That being said, I’m all for additional functionality. I just don’t see it as a necessity. I’m really hoping that someone will write a simple, boring text editor with encryption capabilities. I’ve stored passwords securely on my PDA since the palmpilot days. It’s surprising that no text editor was included. Also, this is a GUI on top of linux. Is there shell access? SSH? A basic CLI with a stripped down OS would be awesome. FTP? Will there be a way (using WiFi) to sync to my desktop? I hate messing with the card reader. I vote “yes” on the utility of an onscreen keyboard. The slide-out looks kind of clunky, as compared to Blackberries and Treos. I currently have (and roundly hate) a T-Mobile Wing, and I don’t even use the slide-out keyboard – it’s too bulky. – A new browser with Safari fluidity, based on Chrome’s Java V8. Nothing on the list is practical/possible with the 1G cap… Cloud storage? VoIP? You’d chew through a gig in less than a day! Oleg and Kristina – Good point about a navigation app which includes audio prompts. I am sure somebody is writing it right now or has already written it. And the Google Maps team itself is probably hard at work on adding voice feature to Google Maps. I wouldn’t be surprised at all if they released that feature soon. Mark – I realize that it will be very difficult for a data usage counter app to keep track of usage by every individual app. That is why I proposed the idea of getting usage statistics directly from T-Mobile. After all, we are interested in what usage T-Mobile uses for billing, right? This solution might be relatively easier to implement. Justin – That’s a great idea to convert the phone into a WiFi router. Unfortunately, the current state of cell phone battery technology might not support that. Also, the core phone hardware does not support that. Remember – a router has both software and hardware component. Jah – I mentioned an app for MS Exchange support in the blog post. That will keep your Outlook in sync with the phone. HonestMike – I am not sure if the touchscreen numpad allows text entry. I know that there are alpha characters on the numeric keys, but I assumed they would only be available for dialing phonetic numbers (like 1-800-CALL-MEE). I welcome your idea though. Even if the current numpad does not support text entry, it would probably be easy to tweak it to allow that. But there may be a couple of show stoppers – (1) is the current touchscreen numpad available from any app? (2) I seem to recall that the size of the numpad took up most of the screen area. That may be not work very well for apps which need text input. Chuksy – FM radio needs specific hardware which the G1 does not have. It cannot be turned on merely by writing an app. BUT, if your FM station streams online, you will probably be able to listen to it on the Android phone. I know that there are apps on Android which support streaming media. Not sure if the Android browser itself will stream audio-video (except for Youtube). Stereo Bluetooth support would be nice along with true open access to music from all cloud sources. Why do I need to click 3 times to open a new browser window (it’s not a tab)? And the same steps apply to switch between opened windows. Can’t they be like Chrome? Tabs lined next to each other, only one click away (with an “open new tab” button alongside)? I think the wifi router app (ala Joikuspot) is FAR more important than everything else on your list … but I’d debate whether or not it’s more important than Exchange support (I know some people will think that’s critical). As for data syncing, to the cloud or desktop, that’s easily solved with SyncML. Android will be able to sync to Google, obviously. Contacts, calendar, etc. You’ve got to have a google account, so that all makes sense. Now someone just needs to make a free (or competitive) counterpart to GooSync. Add in syncing plugins for Thunderbird, Sunbird, iSync, and other desktop apps, etc. And you’re golden. More specifically, we can building a Android based PMP player, with FM radio. More details to come on our web site in the next 1-2 months. Would you please tell us why you are so certain that GTalk API did not make it to the first version of Android in order to avoid easy VoIP? Do you have some inside information which we have not seen yet? Looking forward to hearing from you. And game emulators would probably be removed from the Market pretty quickly; while they’re technically legal, the companies and Google know people would be using them for mostly illegal purposes. I’d like to have a Desktop MS Office alternative with full editing capacity. Rubin said the G1 could only read MS documents out of the box. No sirrrreee…. Emulators are 100% LEGAL. It’s downloading ROMS of games you don’t have which is ILLEGAL. Also, if Google removes legal programs, then wouldn’t that stand against EVERYTHING it’s been preaching about Android? This is one of the most important reasons driving developers away from Apple. A Google Earth application that utilizes the Open GL ES 2.0 support and replaces the Google Maps app is most welcome. Here’s Windows Mobile 7’s office. It is as complete as the desktop version. The buttons look small, but when touched, they become bigger, and when this touch is maintainedlong press), the button (e.g. Bold) is selected. Superb idea. I’d love to see this on Android. A nice simple ebook reader/library would be great. Also simple home network navigation. The application that I was most enamored with was the phenomenal HandyCalc. I have even kept the M5 emulator running for days, just to be able to use this amazing calculator. Actually, I am so impressed by this app that I will buy an Android phone as soon as HandyCalc is updated and one sale. The fact that he didn’t even win in the first round of the contest was absurd. Go visit his site and encourage him to update HandyCalc. The world will be a sadder place without it. Someone please work on an Internet-radio streaming app for the G1! Doesn’t the G1 have a built in Modem? If so, why can’t you TETHER with it right out of the box? I know they said you can’t tether with it but do they just mean your NOT ALLOWED too? I’m assuming if the G1 has a built in modem like many are saying it does one would have to think the day it’s released you should be able to Tether. g1 does have a touch screen. i read somewhere that aim counts as txt messaes, because it is sms, but gtalk will not since it is xmpp. a nice program for the g1 would be a xmpp based aim. 1) The camera is slow as snot – someone speed it up a bit and add a mode for poor lighting conditions. 2) I want to close apps easier. I don’t care if they’re not using memory or not, when I leave a room I want to close the door. 3) The browser is top notch – but would be much better with Flash. 4) Screenshot! This one shouldn’t be too hard to do. It’s easier to share what you’re doing or reading via mms with screenshots, I rely on this on my Wing all the time. Hi I have the g1 and I would love to see all at at least most of apps like these. I love gadgets but I love the apps I can put on them I have a list went through the phone and found its flaws please some one help solves the problems for and almost perfect phone with apps. 1. A better IM one that keeps you logged in let you put up your own away and status message with all the basic aim functions. Like settings, add block and icons. 2. And I’m so dissappointed but can some one please do a flash player that supports the android. 3. An app similar to itv that iphone has but one for the g1. 4. Also a radio app that plays any and all stations also a way to do presets to fav stations. 5. A app to record video from the camera.